The NetBait Paca Chunk has become a staple jig trailer to many and has practically rivaled the popularity of the standard pork style chunk trailers out there. 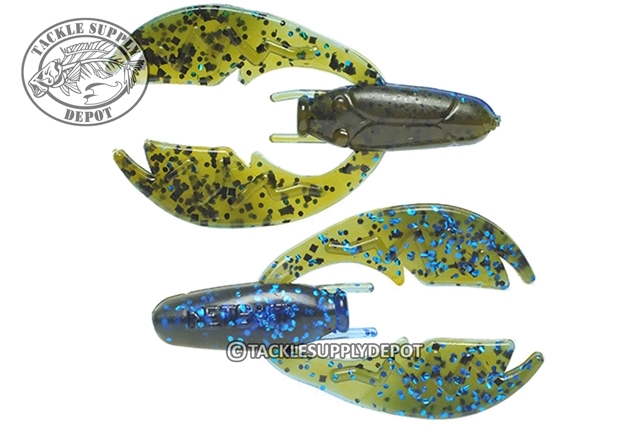 NetBait has gone through the time and processes to get their patented claw design into a jig trailer package which blows others out of the water. When fished on a light jig head or skirted jig the claws act with a soft flowing action however once on a heavier weight or swam the claws flap wildly drawing attention from afar. Loaded with Salt, Pork Fat and Scent; these baits are proudly made in the USA by anglers for anglers. Regardless of the size of the jig NetBait offers a Paca Chunk of appropriate size for the perfect storm in jig fishing. I like these for finesse jigs, they fit the bait great and are durable.